The school year is approaching fast and preparation is in order. Lately I’ve been thinking about the things I need before fall rolls around. Now that I’ll be a sophomore I have a little experience under my belt. Here are the “must haves” for this fall. The first thing you’ll want might seem odd in this hot weather. You’re going to want a good sweat outfit. It can get chilly in dorms and sweats are the perfect cozy option. Along with being cozy you should try and find a cute pair so that you can walk to food halls, laundry, and study hall cozy AND in style. My favorite sweats are from the Victoria’s Secret PINK collection. They have adorable campus pants, collegiate wear, and yoga pants. Most of the pants have a match back sweatshirt. This year Victoria’s Secret is more than ready for back to school with stylish backpacks, water bottles, planners, and even ID card holders! Next, you’re going to need a cute pair of flat easy to walk in shoes. My favorite back to school shoes are TOMS. There are so many different styles of TOMS these days, so there is one for everyone. If you choose a basic color they can match everything. They are cushioned on the bottom making them extremely comfortable to walk around campus. 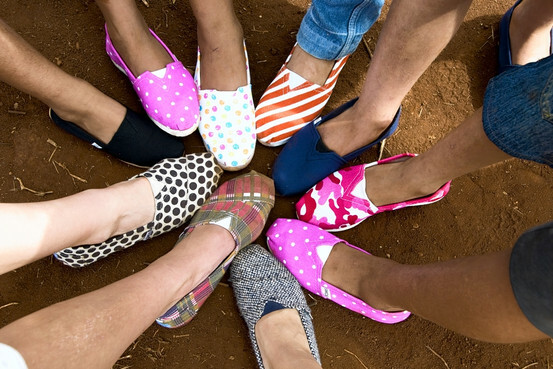 Another cool thing that TOMS do is give back. Every time a pair is purchased another pair is sent free to Africa for a person in need of shoes, as if you needed more inspiration to buy a pair! Another thing you’re going to need is decorations! It’s a lot of fun to decorate your room to fit your personal style. Most places won’t allow you to nail anything into your walls, but they make stick on wall art now that’s perfect for a dorm! I had one on my wall all year and when it was time to move out it peeled right off. Target is usually my first destination for any decorations I might want for back to school. 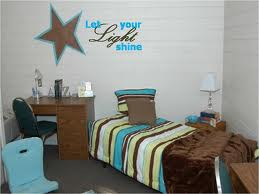 They have the wall decals there along with pretty much anything else you’d want to make your dorm room beautiful. Target is also very affordable and available online for your convenience. These are the three things that every girl must have before heading back to school. I hope I’ve helped you come up with some good ideas for things to buy before the fall. Have fun being comfortable and stylish in your fashionable dorm room. Take this opportunity to really showcase your style and be confident! Best of luck shopping! Update Your Spring Wardrobe for Cheap! Now that winter’s over, what are you going to wear? Do you need to update your wardrobe pronto before you sweat your way to class but don’t have a lot of money to spend? Don’t worry, you’re definitely not the only one. There are lots of stores and online shopping where you can find mix and match spring and summer pieces without spending like a celebrity. 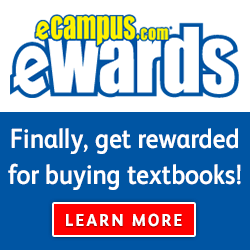 One online store brimming with deals for college students is aSociete. Once you create a free account (you don’t even have to be on the listserv to get daily emails if you don’t want to), go to town on clothes, accessories and shoes that are always on sale—and even name brand! Though some designer duds from Betsey Johnson tend to remain in the mostly more expensive domain (generally around $45 or more), there are lots of other trendy, adorable clothes for under $20! 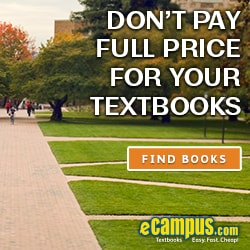 It’s definitely worth scouring through the pages upon pages of clothes for these special deals designed specifically for college kids like us. Modocat is another online bargain outlet. Shoes, bags, clothes, accessories are all at the click of a button—so be careful! To make your outfit planning that much easier, the site also features a daily lookbook to help you find the perfect outfit for you. Even better, there are always items for sale to keep an eye on. Though like aSociete, some items get quite pricey, this site is full of the cute, quirky, fun and flirty for any price range if you just take the time to look around. The average mall stores, like H&M and Forever 21, are also great to hit when shopping on the cheap—whether you cruise through their websites or spend time in the actual stores. Online and in physical locations, both offer new arrivals and sale items quite frequently. Some more elaborate pieces, like decked out lace dresses, will run higher, but basic tank tops, shorts, knit tops and other mix and match essentials can always be found on the cheap! And if you find something you like that’s a little too pricey for you now, stay on top of that piece online and in the store—both have sales often, and you never know when it might dip down to your price point. Don’t forget about the bulls eye either! Target, though sometimes picked on for being like Wal-Mart (but it’s so much classier and nicer) is full of great bargains. Not only do they have a new celebrity designer, like Jason Wu, design special lower price collections for them every few months, but they get great new styles in regularly. At the very least, hit up the bathing suit racks packed full of adorable suits at a reasonable price. And while you clothes shop, you can also get some snacks, DVDs and other home goods for your dorm or apartment—all of which can be found at decent price points. Wet Seal, online and in some malls, offers affordability and variety. You can find a ruffly, feminine top or the punk rock skull t-shirt you always wanted. Make sure to check out the sale section, full of great steals for around $20 or less. For that price, you can fill your closet with new spring and summer shirts and have money to spare. If you need some snazzy footwear instead of the mundane cheap flip flops meant for the beach, check out DSW (where you often pay less than Payless). They’ve got everything from fancy to casual, comfortable to beauty-is-pain. You can shop luxury designs, like Prada or Gucci, or just keep it simple with Clarks. Whether you need sandals or professional and comfortable shoes for an internship consisting of running around all day, you’ll have no problem finding multiple pairs in one quick visit. Lastly, it’s always a good idea to look at fashion and women’s magazines for ways to build a well planned out outfit inspired by a stylish celebrity for less. Sometimes they’ll even offer you special discounts just because you bought that issue. Inspirations, discounts, pretty pictures of your favorite celebs, and other beauty ideas all in one? It can’t get any easier than this. So get out there and put some spring into your step while you shop. Good style doesn’t have to cost a fortune, if you know where to look. You don’t even have to become an extreme couponer. Happy savings!